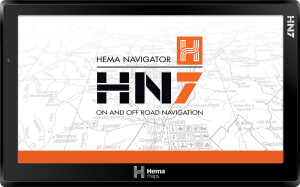 Make sure the Navigator is switched on and sitting at the main menu BEFORE plugging it into your PC. 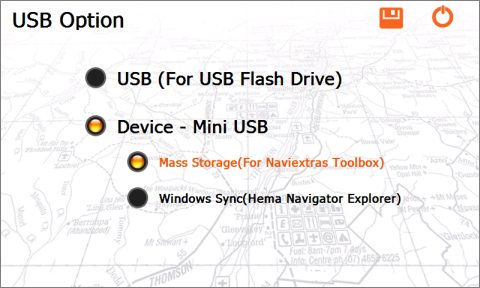 When connected in Mass Storage mode, the Navigator will appear to your PC as if you had plugged in a pair of USB memory sticks. Once you have made any changes to settings, to make these changes permanent, you need to save them by tapping the Save Settings button.